Coachella Valley is located just 100 miles to the south and east of Los Angeles. The scenic and breathtaking views of mountain vistas and amber canyons almost everywhere in the valley, coupled with the perfect weather and year-round sunshine are some of the many reasons living on this side of the California desert is ideal. La Quinta, also known as the hidden gem of the Coachella Valley, is an enchanting enclave surrounded by the stunning Santa Rosa Mountains. This city is easily accessible and within close proximity to the largest metropolitan areas in Southern California and Arizona, just 30 minutes from Palm Springs International Airport and approximately 130 Miles east of Los Angeles, this city has perfectly serene surroundings with the most stunning mountain and desert views. Developers of luxury real estate communities in La Quinta have built communities inspired by the concept of tranquility and paradise, that will truly encapsulate what luxury desert living is all about. A lifestyle of living in an oasis like setting, where the display of natural beauty are sights to behold everyday right in the comfort of your neighborhood. 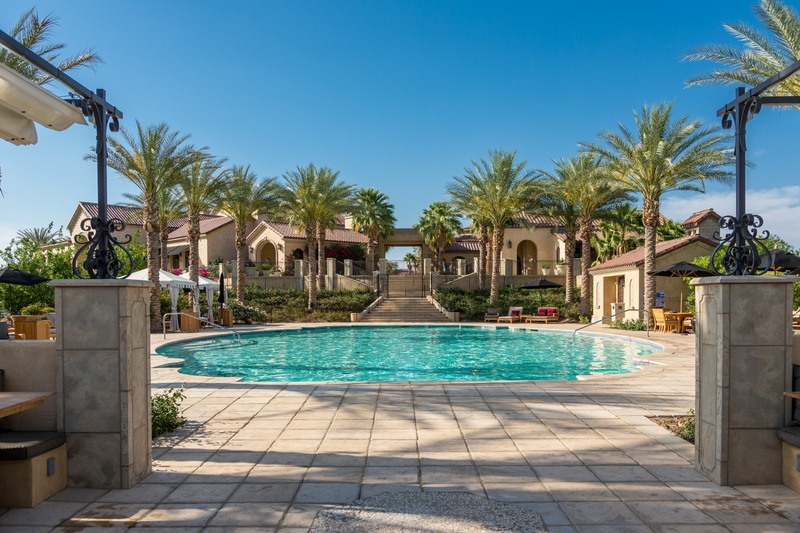 The Madison Club is the most exclusive and private residential community in La Quinta. Homeowners and members are offered a lifestyle of unparalleled luxury and exclusive privileges to all of the club’s top-of-the-line amenities and services. 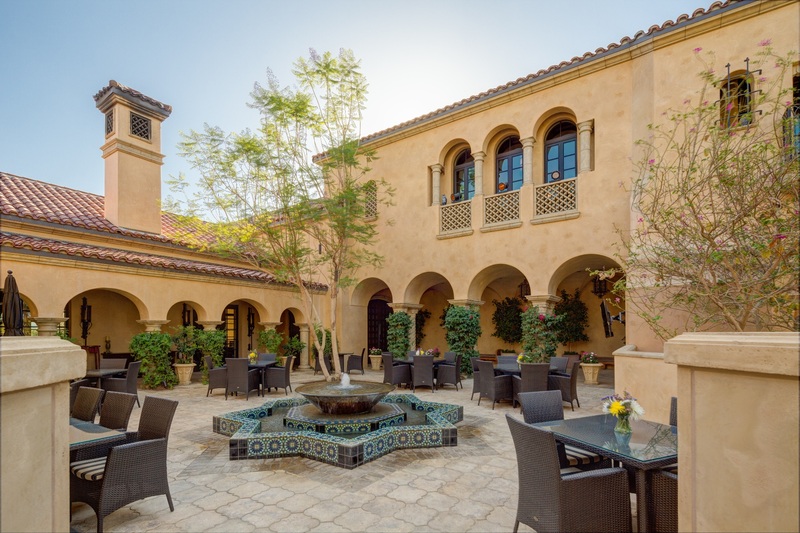 The Madison is one of Southern California’s most exclusive Country Clubs. What makes it so unique is not just its immaculate grounds, the award winning Tom Fazio golf course, the facilities or the multitude of custom designed homes. The Madison prides itself on making its members and their guests feel welcomed and appreciated. From the moment you enter the gate, expect to transcend from life’s daily grind to a place where troubles are left behind. The Madison Club prides itself on hiring only the most qualified and astute team members, from the caddies to the wait staff to the spa to the management. One of the Madison’s greatest appeals is its focus on families. Their philosophy is one where people come together to share experiences and make memories that will last a lifetime. They make every effort to create and coordinate events and activities for all ages, paying close attention to the needs of each member and striving to accommodate them. Let’s take a look at some of the Top 5 Best Things to know about what it’s like to live in the most desirable & luxurious club community in the city. 1. Homeowners get to enjoy the Madison Golf Club; one of the finest courses in the country, exceptionally designed by renowned landscape/golf course architect Tom Fazio. and recognized by Golf Digest’s List of America’s 100 Greatest Golf Courses. Whether you are a seasoned golfer or play golf for recreation and fun, you are enjoying one of the best- designed golf course in the country, and some of the most extraordinary views too. 2. Homeowners have access to the 56,000 square foot Mediterranean styled Clubhouse designed by renowned architect Addison Mizner. This expansive clubhouse is indeed a beautiful structure, with meticulous attention to details and perfection that reflect a timeless and sophisticated masterpiece perfectly suitable for the finest preference and taste of the residents at the Madison Club. 3. Homeowners can relax and unwind inside the Clubhouse’s Bar and Lounge and Restaurant while enjoying the enormous views of immaculately lush green golf course and the beautiful mountain ranges of San Jacinto and Santa Rosa. For intimate gatherings and functions, the Madison Clubhouse also has a private dining room aside from the main dining room and sushi bar. Their menu offers gourmet selections and a variety of dishes, fine wines, and a relaxed and welcoming atmosphere, with an exemplary staff. 4. Homeowners have complete access to wellness facilities including a state of the art Fitness Center, with available personal training instructors upon request. The pool, cabanas, and outside lounge area rivals the best five star resorts, some might say it surpasses them. The Madison Club also offers the most luxurious in world-class spa amenities and treatments, where homeowners and their guests are sure to have a tranquil and relaxing pampering experience. 5. Homeowners at the Madison select this exclusive club for one reason in particular: exceptional member services. Each member and guest is treated with the utmost respect, while the superior hand-chosen staff strives to cultivate lasting relationships, making members feel connected, and their experiences at the Madison make them come back time and time again. Spending the season at the here makes every day feel like a vacation. Stunning architecturally designed homes, complete privacy and spectacular views of mountains and golf courses everyday, the Madison Club residents experience only the finest of a truly luxurious desert living. 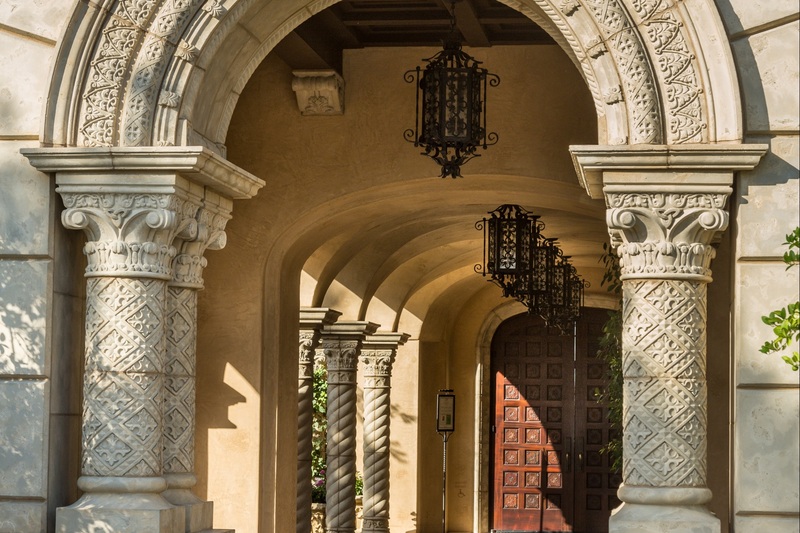 Stanfield Real Estate, # 1 Team Worldwide for Sotheby’s, have exclusive private listings of luxury homes in Madison Club that are currently on the market. 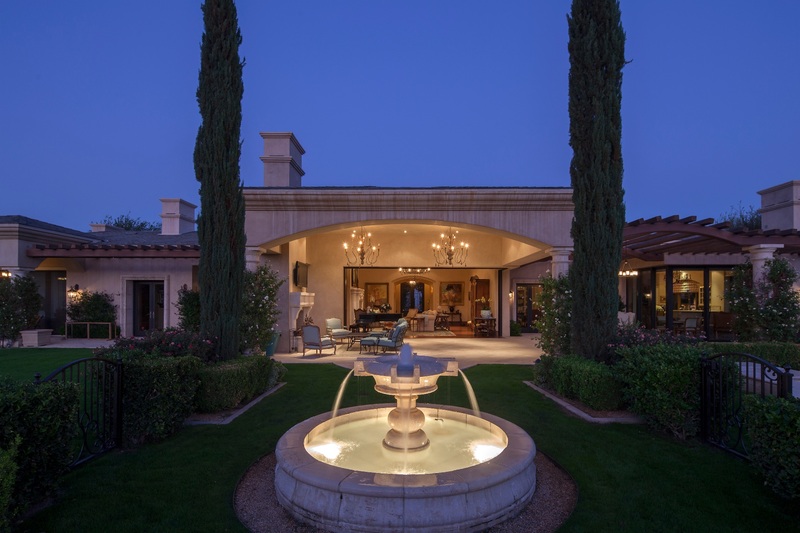 A classic Mediterranean blended with contemporary design in an estate over 10,000 SF, This property overlooking Golf Course, truly epitomizes luxury in a warm and welcoming home. Contemporary French estate with finest fixtures and materials truly emanates luxury yet evokes the feel of a warm home. 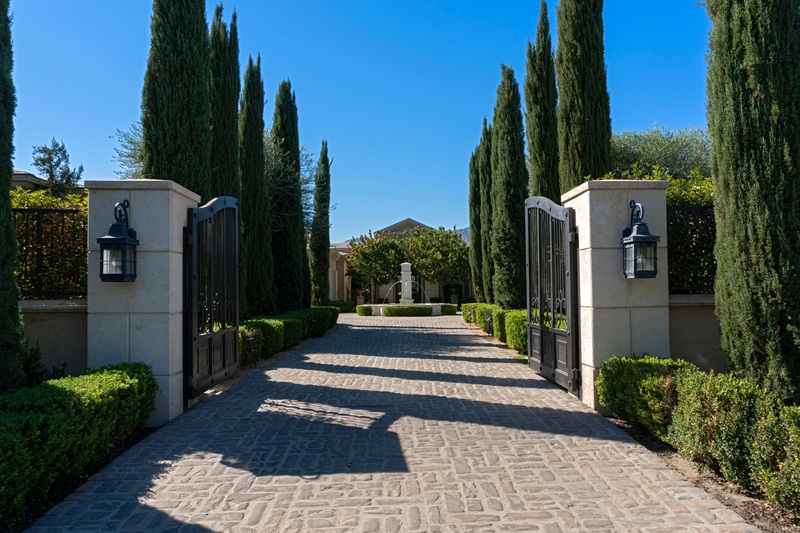 A palatial estate with fountains and a chateau-like ambiance in an immensely private driveway. Chic elegance with rich textures blended, this beautifully designed home is a serene sanctuary filled with amenities including an infinity pool overlooking the Golf course. To know more about these private and exclusive listings contact our team at Stanfield Real Estate for details.